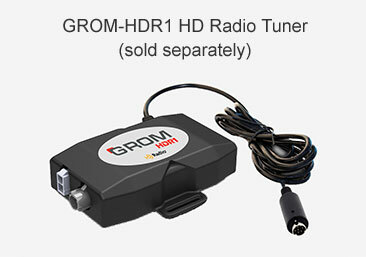 GROM USB adapter for Nissan/Infiniti stereos that are Satellite radio compatible is using satellite radio emulation. 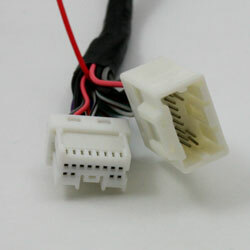 Therefore in order to be able to use your electronic devices in the car. 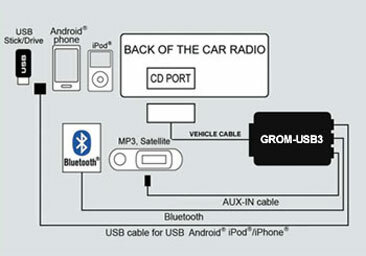 USB Connection: GROM USB car adapter kit connects USB 2.0 device such as flash drive, external hard drive or mass storage device to the stock stereo for music playback and integrated controls. Control the music through factory car stereo or steering wheel controls, see titles where applicable, browse by folders. Android car integration via USB port: Play music, control from car stereo or steering wheel controls, charge. Supports advanced control and browsing by folders/playlists within Dashlinq app plugins Spotify, Google Music, Web Radio, Pandora and Local (stored on the phone) music. 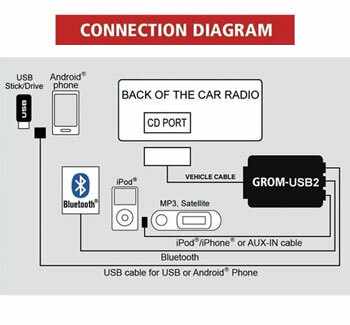 Bluetooth add-on (sold separately): Make hands free phone calls (HFP), stream music from your smartphone to the factory car stereo, control music with the car stereo or steering wheel controls with GROM Bluetooth Dongle Android and iPhone smartphones and most music streaming apps are supported. 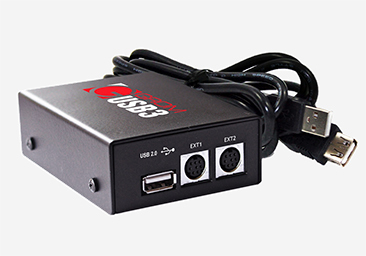 GROM-USB3-NIS02 is only compatible with radios from GROM compatibility list where word CAT or SAT is imprinted on the stereo fascia. Usually next to Seek or Folder buttons. 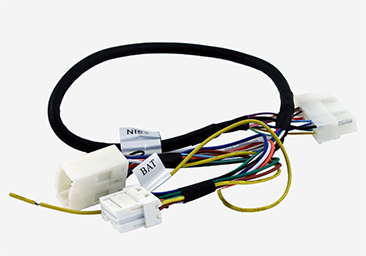 If your stereo does not have SAT or CAT imprinted, please check out the GROM USB adapter for Nissan/Infiniti with CD changer emulation. 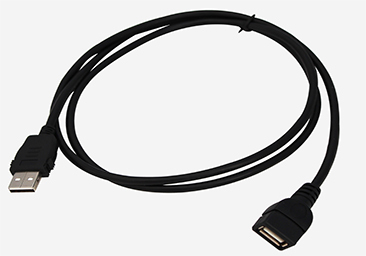 Q.: What USB devices cab I connect to the USB port of GROM-USB3 car kit? Q.: Will USB port also charge my Android or iPhone / iPod / iPad, while playing the music? 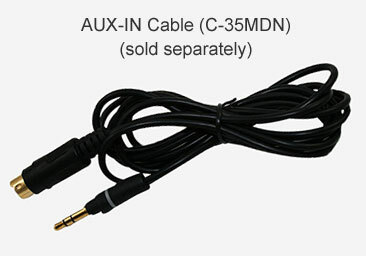 A.: Yes it will charge your Android phone or iPhone / iPod / iPad while playing the music. 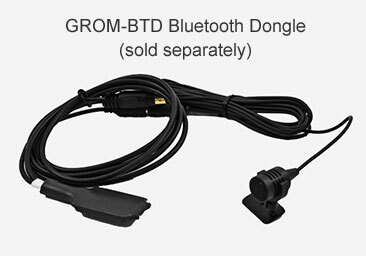 Q.: If I also use GROM Bluetooth Dongle (GROM-BTD), and the phone call comes in, will USB music pause automatically? A.: If you connected your device via USB, and Bluetooth at the same time, the music that is playing over USB will pause upon the phone call.